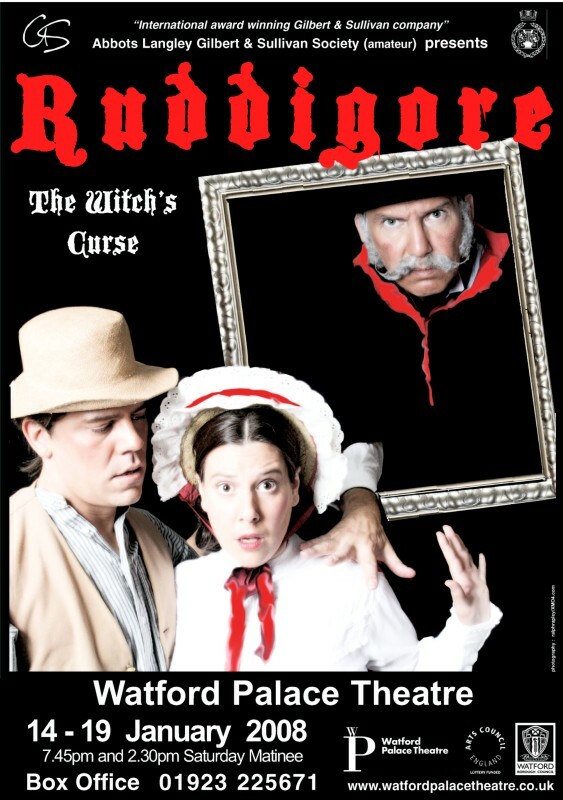 One of the lesser known operettas, Ruddigore is a dark and haunting tale of dastardly deeds and gruesome ghosts whose evil plans get scuppered by a troupe of bridesmaids, a roguish sailor and a “little book of etiquette”. A G&S gem characterised by Sullivan’s jaunty musical score and Gilbert’s satirical genius, Ruddigore is packed full of laughs and love triangles and is not to be missed! 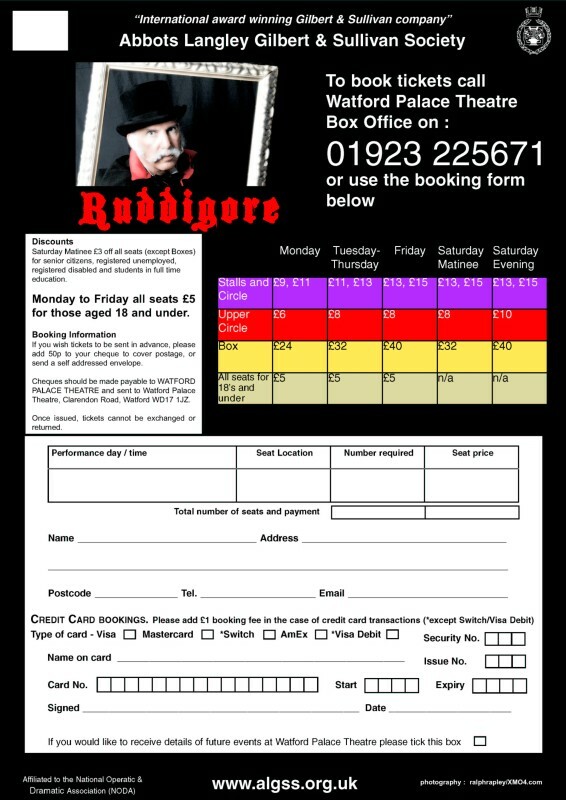 For tickets, please call 01923 225671 or view and print the booking form. Registered Charity in England and Wales with the charity number: 1161215. 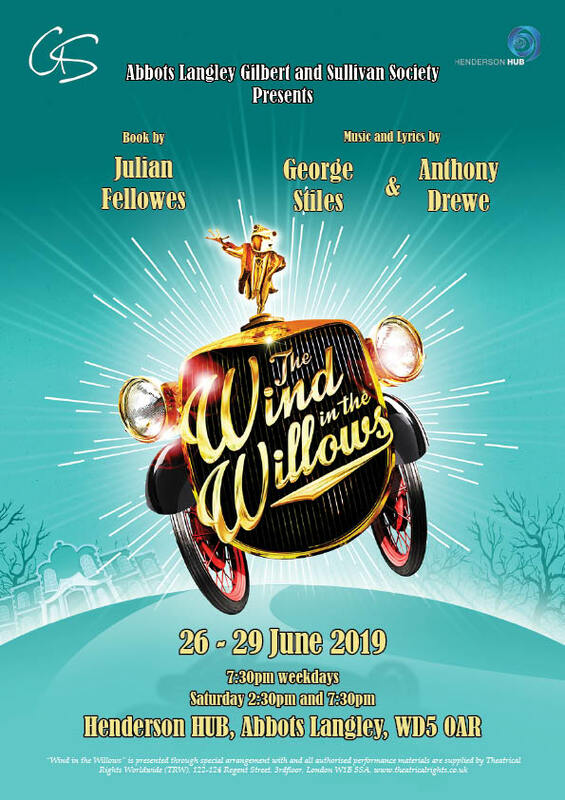 Copyright © 2019 Abbots Langley Gilbert & Sullivan Society All Rights Reserved.